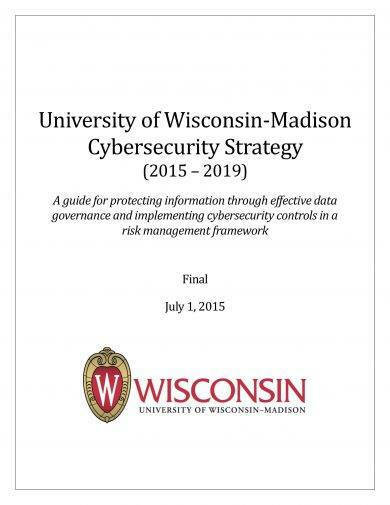 There are different kinds of security strategic plans that you can develop depending on the purpose of the document and the kind of information, activity, or process that you would like to secure and protect. 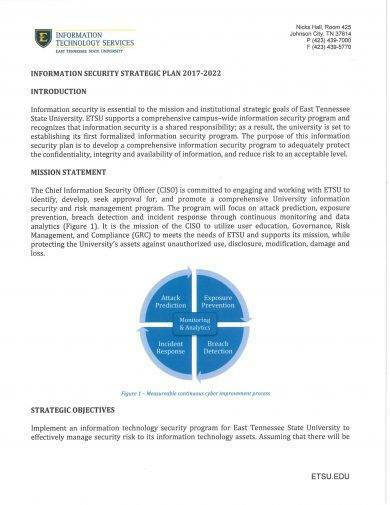 With the number of details and elements that you need to put together, it will be best for you if you will use strategic planning checklist examples so you can ensure that particular security concerns, action plans, strategies, relevant information, and issues will be included in the document. 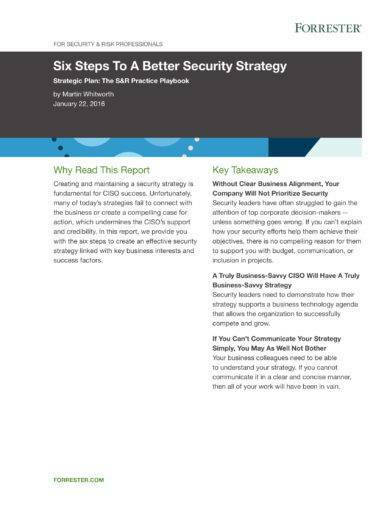 If you believe that security strategic planning is still essential, necessary, and practical, then it will be best if you will try to start making your business’s own security strategic plan. 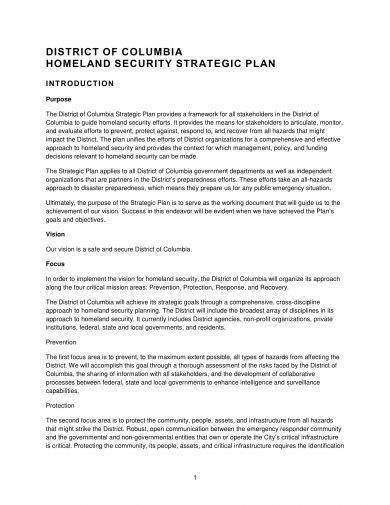 If you do not know where to start or how to make the document in general, you can use our security strategic plan examples as your guides and references. Why Is a Security Strategic Plan Important for a Business? 1. A security strategic plan is essential as it defines the security conditions of the business. With this, goals and objectives can be developed to ensure the maintenance or improvement of particular security processes and activities. 2. 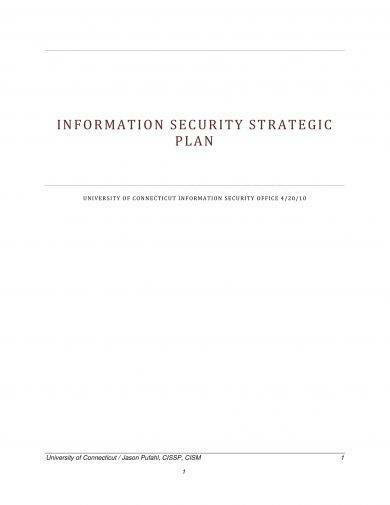 A security strategic plan can help manage security risks. 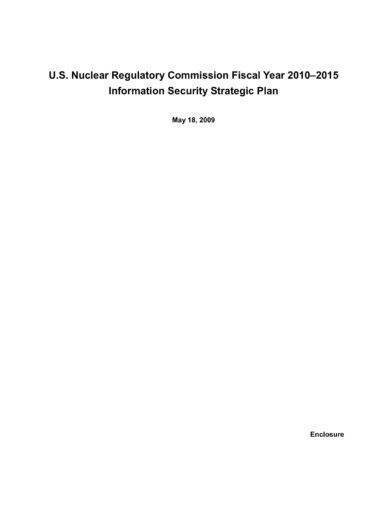 With this document, businesses can already prepare for potential impacts and results of both threats and risks. This is a great way when it comes to the continuity of the business operations even if there are possible security issues that are necessary to be addressed at the moment or in the future. You may also see simple business plan examples. 3. A security strategic plan can gather all the entities present in the business operations and practices together so that all of them can be aware of their responsibilities when it comes to maintaining the safety and security of the business location. This document can also help define particular terms and instructions which can make the plan more understandable. You may also like work plan examples & samples. 4. A security strategic plan can set action plan and strategies that can promote the development of security procedures either in a specific business area or the entire workplace. This can help the business properly define its security constraints and the direction where it would like to take the security policies and protocols of the business in. Security strategic plans are not limited for workplace and workforce security. These documents can also deal with the the protection of technologies and systems used by the business, the information that are transferred from one business area to another, the processes for accepting data, and the processes that are involved in normal business operations. You may also see risk plan examples & samples. The practices and practical analysis that will be executed by the business to detect the security issues, concerns, and problems existing within the organization. You may also like weekly plan examples & samples. 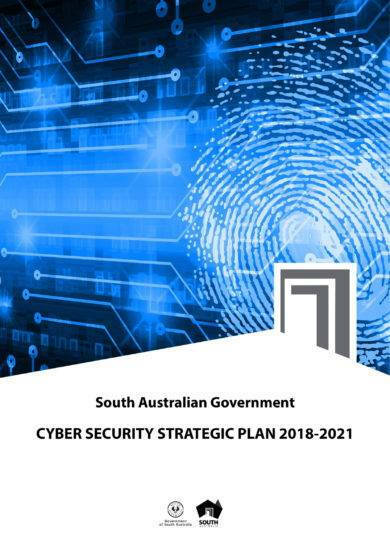 The metrics that will be used to identify the security development and improvement once the specifications within the security strategic plan has been realized. Kindly take note that these details are only for referencing purposes. You can add or remove particular information depending on the jurisdiction of the management of your business or the specific nature of the security strategic plan that you will make. You may also check out transition plan examples. Just as how a strategic marketing plan positively affects the marketing efforts of a company, a security strategic plan also allows a business to be more successful in identifying and implementing effective security measures and strategies. There are a lot of benefits that businesses can get if they will create and execute a security strategic plan. If you can create an impressive and functional security strategic plan, your business is most likely to achieve its security goals and objectives. 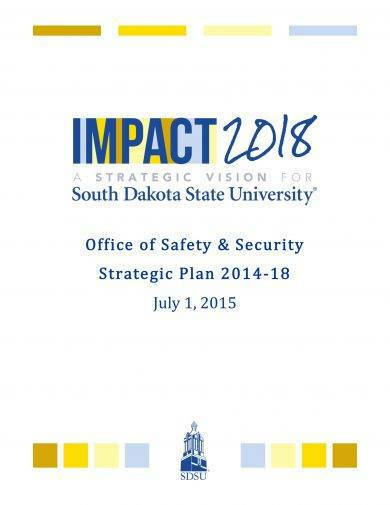 Listed below are some of the ways on how you can maximize the potential of security strategic plan implementation. 1. Make sure that you will consider the industry standards when it comes to the development of your security strategic plan content. You also have to review and browse through the protocols of the business when it comes to security so you will not overlap your new plans with the existing practices of the business. This can make the process of the security strategic plan implementation more significant and successful. You may also see sales plan examples. 2. Be specific with the reason on why your business needs the security strategic plan that you have developed. It will be great if you can present or discuss instances, general reports, and incidents which can strengthen the necessity of the document and its content execution. 3. 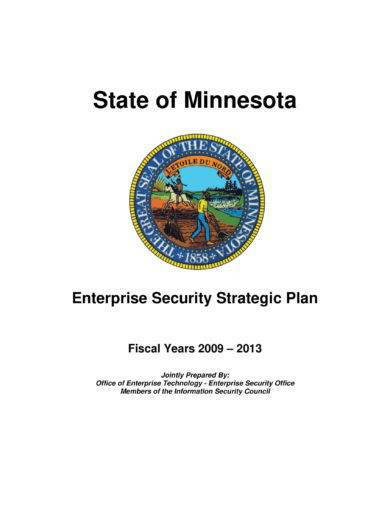 Make entities or stakeholders within the business be involved in the security strategic plan implementation. Even in the planning and development activities, it is recommended for you to get insights and recommendations especially those who are directly involved in security activities and operations. You may also like quality plan examples & samples. The strategic plan that you will come up with for the security of the business and/or its processes and other related subjects must be aligned with the vision, mission, objectives, and goals of the corporate entity. Moreover, it is important for you to always be reminded that creating the document and actually implementing it are two different processes that you both need to give focus on. 1. It is best if you can follow the strict timeline that you have developed or at least as close to it as possible. It is important for the conversion time from action planning up to implementation to be short and reasonable. 2. Be flexible with your ways but you should make sure that your options can still direct you in achieving the goal that you have initially set. As we have said in the discussion above, there are different factors that can affect the implementation of your security strategic plan. With this, you have to be adaptive and resilient to changes. You may also see daily plan examples & samples. 3. Be proactive and collaborative. Allow stakeholders to have inputs but ensure that you will refer to the quality standards and metrics that you have set so that you can execute plans that can truly provide positive impacts to the business. Considering recommendations can promote productivity as people feel that they are truly involved within the process. You may also like advertising plan examples & samples. A security strategic plan presents all the deliverable and resources of the business which can be used to realize its goals when it comes to security. The proper description of the capabilities of the company with regards this matter can maximize the potential usage of assets and present abilities. You may also check out event plan examples & samples. 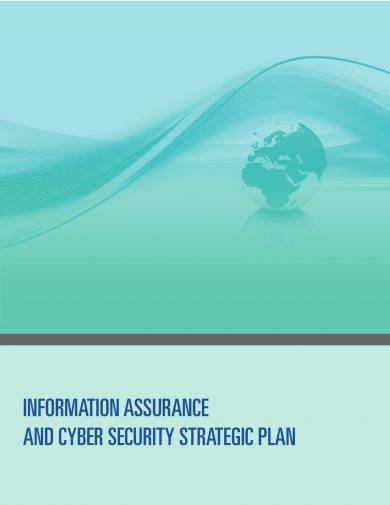 Download our examples now and start making a security strategic plan with high potential of implementation successes.